America's cereal, soda and soup companies are having a rough 2018. 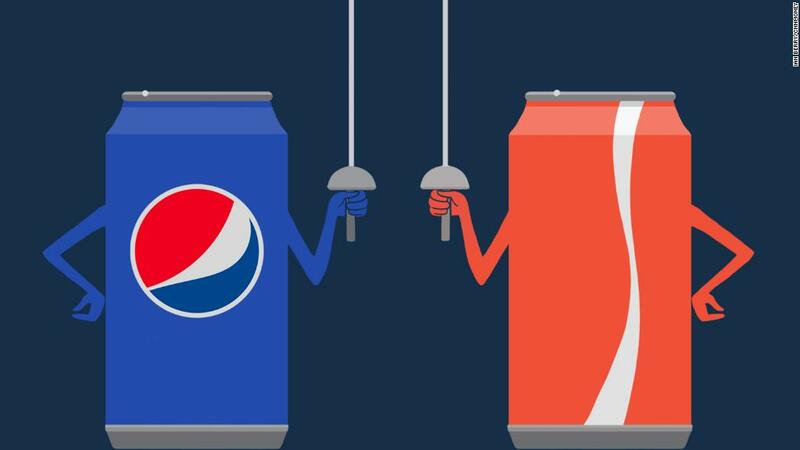 General Mills (GIS), Campbell Soup (CPB), Hershey (HSY) and Pepsi (PEP) are all failing to convince investors they have a plan to navigate shoppers' changing tastes. The consumer staples sector is at the back of the pack in the S&P 500, down 13% this year. It's on track for its worst year in a decade. On Friday, Campbell plunged 12%, its worst day since 1999, after CEO Denise Morrison abruptly retired. Campbell announced a review of its entire lineup, including soup, leaving the door open for breaking up the 149-year-old company. It's part of a broader problem. Large consumer goods brands lost market share to small competitors from 2011 to 2016 for the first time in 50 years, according to Jim Brennan, a senior partner at Boston Consulting Group. "The threat is everywhere," Brennan said at a recent AllianceBernstein conference. 2018 has been a perfect storm for Big Food. Sales growth is stalling while oil, freight, raw material, steel and aluminum costs rise. In the past, inflation wouldn't have been a major issue for these legacy brands. Their size, supply chain, and enormous TV advertising budgets allowed them to muscle out competitors and maintain higher prices. "You didn't have tons of competition, and the superior economics just continued," Brennan said. "It was a pretty nice gig." Related: Coke and Hershey's costs are going up. Will you pay more? But they don't have that luxury anymore. Their business models and pricing power are crumbling as the retail and grocery industries consolidate, consumer allegiances fade, and low-budget digital advertising campaigns sway shoppers. Walmart (WMT), Amazon (AMZN), Target (TGT), and Kroger (KR) are waging a price war that has spread to the rest of the retail and grocery industry. The pricing battle has changed shoppers' expectations of how much a box of cereal or a bar of soap costs. If suppliers don't play ball on prices, Walmart can put products in the back of the store where shoppers can't find them. Amazon can send them to the bottom of its search pages. The growth of retailers' cheaper private labels and discount stores like Dollar General, Dollar Tree and Germany's Aldi have limited big players' ability to raise prices. Amazon, for example, is building out a stable of its own food and household essentials. It launched Wag, a dog food line, earlier this month. Mass-produced brands are not the only game in town anymore. Scale is less important in the digital age when an entrepreneur with a new idea can reach a huge audience online through a viral ad on YouTube or Facebook (FB). "Amazon provides a valuable platform for small brands to gain traction," said Bill Duffy, an associate director at consulting firm Gartner L2. "Brands no longer have to coordinate with local grocers and large chains to get visibility in store." Household care producers have also been caught flat-footed. Clorox (CLX), Procter & Gamble (PG), Kimberly- Clark (KMB) and Colgate-Palmolive (CL) are each down around 20% this year as investors question their strategies. Nimble players have undercut big brands' prices and tailored their marketing to fresher, organic trends. Analysts point to KIND and RXBar snacks, LaCroix sparkling water, Halo Top ice cream, Dollar Shave Club razors and Seventh Generation laundry detergent as examples of startups that capitalized on shoppers' preference for natural ingredients in food and household care products. These companies have attempted to reshape their lineups and scoop up newer rivals to boost sales. Over the past year, General Mills bought pet food company Blue Buffalo for $8 billion, Campbell acquired Snyder's-Lance snacks for $5 billion, and Hershey purchased SkinnyPop popcorn-maker Amplify Snack Brands for $1.6 billion. Two weeks ago, Oreo-maker Mondelez bought Tate's cookies for $500 million. But corporate shopping sprees alone are not enough. Acquisitions can raise corporate debt and hit profits. "Do you go out and buy growth at the expense of earnings?" questioned Raymond James analyst Joseph Altobello. As if these challenges weren't enough, the industry faces another headache: higher interest rates. Consumer staples stocks are considered safety plays that offer large dividends. However, they are less appealing to investors in an environment where bonds offer similar returns with little of the same risks. "A lot of these stocks are viewed as bond proxies," Altobello said. "That's great when rates are falling, but the same math works just as well in reverse."